And now, enough with the chick flick moment, let's get down to business! Here is the link to the incredibly story. Make sure to read it ASAP!! Trust me, you NEED to read it! 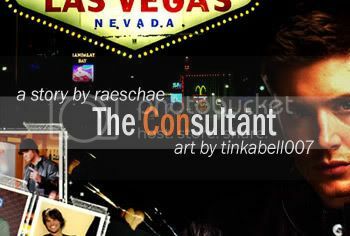 Summary: When Jared heads to Las Vegas to research a role that could launch his career, he isn't anticipating the lessons that reformed con artist, Jensen Ackles, will teach him. Jensen isn't as reformed as he claims to be, though, and Jared is about to learn the art of the con the hard way. Last but not least I wanna thank the mods of spn_reversebang for putting all of this together. It was a great opportunity for us artists to see and experience the whole Big Bang adventure from the another side! So, thank YOU guys :-) You did a great job! you are all new here first time that i see you on the journal of marti. Thank you so much for making an awesome poster in the first place and that header? Are you kidding? I LOVE IT SO MUCH! I just wanted to let you know that any time I see something you create I get all giddy and excited. GUH. I am still not over your bigbang art yet and off you go again, creating something as gorgeous as this. And the story is just awesome!!! I heart it so damn much. 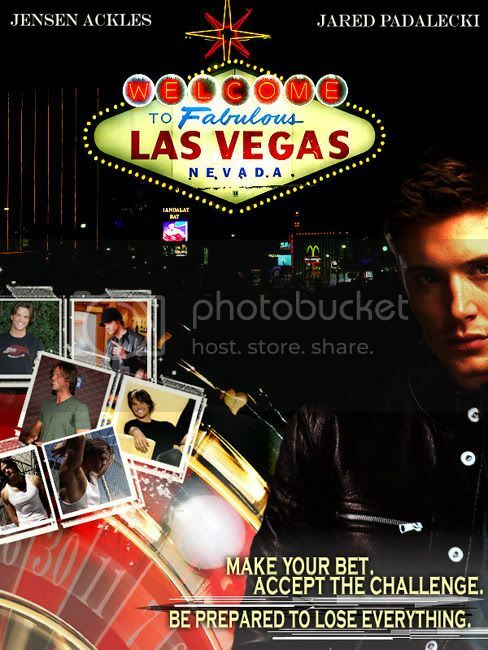 I love how Jensen looks in the pics you choose. Not too creepy, but just a little dangerous... and Jared is all happy-go-lucky. I'm intrigued... off to read the story. i adore my baby in leather so sexxxxxxxxxxxxxxxxxxxxx. you link me the link? you read? what style? jared top? i adore the icons. i take alllllllllllllllllllllllllllllllllllllllllll. Awww thank you, bb. Soooo glad you like!!! The link to the story is in the comments. You should def. check it out. It's a great read. I love how much that looks like a real movie poster (is that a weird comment???) I totally want to see this movie a zillion times and then hang the poster on my wall. Ohhhh honey!! *squishes* Thanks so much!!! Sleeping on the rocks? Guh... that doesn't sound like fun times. :-/ But snorkeling does. So I hope that the fun part of all of this is overshadowing the hurt-part of this!! Oooh this was really awesome art!